Do you have questions or would you like to schedule a visit? Fill out this form and we will contact you. Call for availability by age group and reserve your child’s space! Note: Some classrooms may be on a wait list. 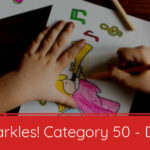 Stay connected to your child's day at Sparkles! Fair Oaks, through apps, progress reports and numerous opportunities to participate in classroom activities. We are here to support you, and welcome your involvement. Conveniently located located near Fairfax County Government Center, our daycare offers so many ways for children age 6 weeks to 12 years old to explore and grow, with a spacious playground, bright classrooms, arts and crafts, enticing toys, individualized tutoring, specialized clubs and more. We also participate the VPI – Virginia Preschool Initiative Program, which ensures that all children are prepared for elementary school. Please call or use the contact form to schedule a tour; we would love to meet you! Our team is made of up of experienced professionals who share our passion for helping every child reach their full potential by providing a safe, caring environment in which they can learn, play and grow. Our teachers regularly undergo training so that your child is always receiving the best care. In addition to regular training, every employee must pass a criminal background check through the Central Criminal Record Exchange and the Federal Bureau of Investigation, for a national criminal history report. We also run employee names through the child abuse and neglect registry. Keeping children safe while they are in our care is our most important responsibility. Beginning your enrollment process is simple. Print the Enrollment Package and complete the required areas. You may submit the completed form by fax, mail or email. Additional paperwork will be required for completion of enrollment. Registration will not be completed until receipt of a non-refundable registration fee and a deposit. We are open to working with other subsidy programs after applicable registration process is completed.